VESTAL, Albert Henry, a Representative from Indiana; born on a farm near Frankton, Madison County, Ind., January 18, 1875; attended the common schools; worked in steel mills and factories; attended the Indiana State Normal School at Terre Haute; taught school for several years; was graduated from the law department of the Valparaiso (Ind.) University in 1896; was admitted to the bar the same year and commenced practice in Anderson, Ind. ; prosecuting attorney of the fiftieth judicial circuit 1900-1906; unsuccessful candidate for the Republican nomination for Congress in 1908; unsuccessful candidate for election in 1914 to the Sixty-fourth Congress; elected as a Republican to the Sixty-fifth and to the seven succeeding Congresses and served from March 4, 1917, until his death; chairman, Committee on Coinage, Weights, and Measures (Sixty-sixth through Sixty-eighth Congresses), Committee on Patents (Sixty-ninth through Seventy-first Congresses); majority whip (Sixty-eighth through Seventy-first Congresses); died in Washington, D.C., April 1, 1932; interment in East Maplewood Cemetery, Anderson, Ind. Papers: 1899-1940, 5 boxes. 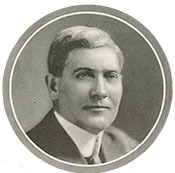 The papers of Albert H. Vestal include invitations, programs, and announcements for social events in Washington, DC; clippings regarding his congressional work; diary (1927) of trip to California and Alaska; speeches; record of assistance given World War I soldiers and their families in his district; and a journal. Also papers, correspondence, and diaries of his wife. A published guide is available in the repository. Papers: In the Will H. Hays Papers, ca. 1857-1954, 130 linear feet. Correspondents include Albert H. Vestal. Papers: In the George R. LaRue Papers, 1910-1951, 4 linear feet. Correspondents include Albert Henry Vestal. United States. 72d Congress, 1st session, 1931-1932. House. Memorial services held in the House of Representatives of the United States, together with remarks presented in eulogy of Albert H. Vestal, late a Representative from Indiana. Washington: Government Printing Office, 1932.